Joined on Jan. 23, 2014, 9:57 a.m.
We've improved the social sharing previews of streams and cards on Facebook, Slack, Twitter, LinkedIn etc. 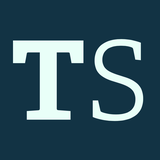 updated May 22, 2015, 12:12 p.m.
updated May 15, 2015, 9:46 p.m.
updated Nov. 4, 2014, 10:28 p.m.
ThoughtStreams Changelog - This stream contains information on changes we've made to ThoughtStreams. ThoughtStreams Markdown - An explanation of the markdown language that's available for use in your cards. ThoughtStreams Tutorials - A stream that contains video and text tutorials that we've produced to help guide you through using ThoughtStreams. What if I have feedback or find a bug? If you have feedback on ThoughtStreams, or find a bug, please use the "Feedback and Support" link which can be found on each page. created Feb. 25, 2015, 2:18 a.m.
created May 22, 2015, 12:12 p.m.
created April 29, 2015, 12:29 a.m.
We've changed repost slightly to publish the thought on repost. It was cumbersome (and confusing) to have to explicitly publish after reposting and there just wasn't really any justification for supporting a repost that wasn't immediately published. Note that if the stream you are reposting to is unpublished, the new thought will continue to not be visible to others. 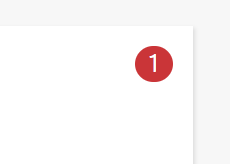 created March 18, 2015, 5:04 p.m.
We've now built the foundation of a notification system. As with activities, it's initially limited to likes and favorites but we'll be adding more notification types soon, all individually configurable. We'll also soon support email notifications, but for now notifications are onsite. We've changed the right nav bar, adding a bell icon to indicate whether there are notifications. You'll notice we've also changed the Settings and Log out links to be icons too. When you have notifications, the bell will turn red and you can click it to see the notifications. You can also clear notifications form here. Note that if you are a member of a team, the notifications dropdown spans both the public site and teams. Each notification type can be toggled under Notifications on the Settings page. created March 12, 2015, 12:54 p.m.
We've replaced the per-user Firehose with a new tab called Activity which interleaves content written by that user with activities done by that user and done to their content. At the moment, the activity types are limited to likes and favorites but we'll be expanding to include other actions shortly. created March 12, 2015, 12:48 p.m. There are now two new tabs on a user's page. Favorited streams shows those streams by that user that have been favorited by others. Liked thoughts shows those thoughts by that user that have been liked by others. created March 12, 2015, 12:45 p.m.
Small improvement to unread counts: counts now only include content created since you signed up. created March 10, 2015, 3:53 p.m. I just got asked for a good example of a thoughtstream. If you'll excuse me choosing my own here are some examples of varying usages. TIL is an example of more tweet-like collection of unconnected thoughts under a broad category of "Today I Learned"
Besides this, how can we better convey the types of things people can use ThoughtStreams for? created Feb. 26, 2015, 2:22 a.m. This stream contains video and text tutorials, examples, and at times, reposts from other streams that may offer useful information to users on how to use ThoughtStreams. We've tweaked the key bindings. Firstly, we've changed the "Publish card currently being created" binding to ctrl + enter rather than the old shift + enter. The previous binding was causing accidental publishing of cards for some people when starting a new paragraph. Secondly, we've fixed a problem where the regular binding for copy (ctrl-C or cmd-C) wasn't working. created Feb. 16, 2015, 8:36 p.m.
To make it (much) easier to see what content is new on ThoughtStreams, we now show unread counts. From there you can also Mark All Read. This feature is somewhat experimental and still doesn't indicate new general thoughts. But let us know what you think! created Jan. 30, 2015, 6:02 p.m.
We've extended our keyboard bindings to allow you to do more without leaving the keyboard. created Dec. 2, 2014, 4:27 p.m.
Just click on a username to get the new tabbed view of that user's content. created Nov. 17, 2014, 9:52 p.m.
created Nov. 4, 2014, 10:28 p.m.
created Nov. 4, 2014, 10:27 p.m.
Tex/LaTeX mathematics is supported via MathJax. Inline math should use \(...\) and display math should use either $$...$$ or \[...\]. created Nov. 4, 2014, 10:25 p.m.
ThoughtStreams now supports rendering mathematics using MathJax. You can use TeX/LaTeX mathematics syntax, surrounded by \(...\) for inline math and either $$...$$ or \[...\] for display math. created Nov. 4, 2014, 10:20 p.m.
ThoughtStreams now supports embedding gists from GitHub. Just paste the URL of your gist and ThoughtStreams will expand it. We support multiple file gists and all the different content types that gists support. If you just want the naked link to appear rather than the expanded gist, mark up the URL in <...> (as with any oembed content that would otherwise be embedded). created Oct. 31, 2014, 7:48 p.m.
We've now added a bookmarklet to post links to your general thoughts. Go to Your Thoughts and on the left-hand side there's a bookmarklet you can drag to your bookmark bar. Then from any site, you can click on the bookmarklet and you'll be taken to Your Thoughts with the URL you were at pre-populating the text area. created Oct. 22, 2014, 5:59 p.m.
ThoughtStreams now supports embedding content from other sites just by pasting in a URL. For example, paste in a YouTube URL and the video will be embedded in your card; paste the URL of a tweet and the tweet will be embedded in your card. Many different services are supported, including YouTube, Twitter, SlideShare, Vimeo, SoundCloud, Flickr, and tens of others. Note that we only embed based on naked URLs. If you markup the URL with Markdown's <URL> or [text](URL) it will just link and not embed the content. Also, we have not applied this change retroactively, so if you want to take advantage of it on existing cards, just edit and save them. created Oct. 21, 2014, 4:39 p.m.
Search now returns Cards as well as People and Streams in its results. This includes cards in General Thoughts. created Oct. 2, 2014, 8:46 p.m. It's clear that the majority of users, rather than using Markdown's <...> syntax, expect naked URLs to be turned in to links. We now support this in our rendering of cards. created Oct. 2, 2014, 8:42 p.m.
ThoughtStreams now supports authentication via Twitter. New users can sign up with Twitter. Existing users can go to Settings > Connections to connect up their Twitter account. After this, you can log in with Twitter and not need a ThoughtStreams-specific password. Note that the Twitter connection is read-only and ThoughtStreams will not tweet on your behalf. created Oct. 1, 2014, 3:23 a.m. Fixed a bug where a user's last posted included reposts of their cards by others. created Sept. 30, 2014, 5:26 a.m.
To prevent double submissions, we now disable the Save as Draft and Publish buttons during posting. This was not actually working as advertised. After noticing a few recent double posts from people, we now think we've nailed the problem. You can feel free to delete one of the duplicate posts if you've experienced this problem prior to the latest fix. created Sept. 29, 2014, 5:21 a.m.
By popular demand, ThoughtStreams now has a favicon. created June 27, 2014, 5:03 p.m.
We've added the ability to like cards. Just hover over a card and click the heart to let the author know you like what they said. If a card already has likes, they will be visible without hover. 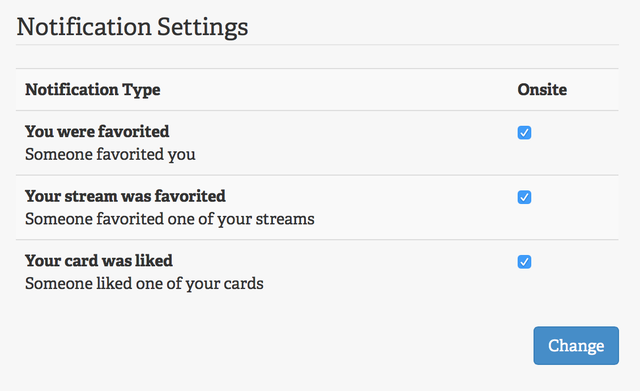 created June 27, 2014, 5:37 p.m.
As well as liking cards, you can now also favorite people and streams. This is done by clicking the star on a stream or profile page. But whereas likes are a lightweight way of acknowledging what someone has written, favoriting an entire stream or a person has an additional effect. Now on the main page that shows the latest updated streams, new streams, general thoughts and the fire hose, you can now choose to filter just by favorites. When filtering by favorites, you'll only see content from streams you've favorited and from people you've favorited. created June 27, 2014, 5:43 p.m.
ThoughtStreams is celebrating its second anniversary since launch and we have some exciting news for the future of the site. ThoughtStreams is already great for capturing your thoughts and ideas, and sharing them with the world. But what if you want to share thoughts, ideas, experiments and observations just with your team? We're in the process of rolling out ThoughtStreams for Teams: all the features of the public ThoughtStreams, scoped and private to your team. If you'd like to participate in the private beta, or just find out when we launch team support, visit https://thoughtstreams.io/teams-beta/. created Sept. 2, 2014, 7:06 p.m.
As part of our work towards ThoughtStreams for Teams, the public ThoughtStreams site is now free for unlimited streams! created Sept. 2, 2014, 7:07 p.m.
Make child of another stream now makes use of the same, in-line stream selector UI (with auto-complete) that was introduced for re-posting back in April. created Sept. 25, 2014, 1:38 a.m.